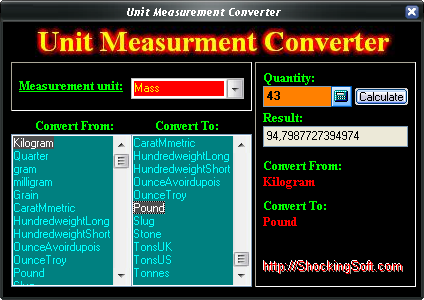 Unit Measurement Converter is a converter for hundreds of units. It has 15 categories(acceleration, angle, area, volume, density, water flow, length, weight, power<electrical>, pressure, speed, temperature, time, torsion, other), at which other can be added. No comments have been posted yet for this application.